Tattoos are permanent reminders of the past and these can be difficult to eradicate. Some employers will not take on staff who have visible tattoos. Tattoos can be removed surgically and this offers a quick and immediate alternative to laser treatment which may require many treatment visits and still leave an incomplete eradication of the tattoo. Surgical tattoo removal is a good alternative for small tattoos. It involves removing the skin with the tattoo. 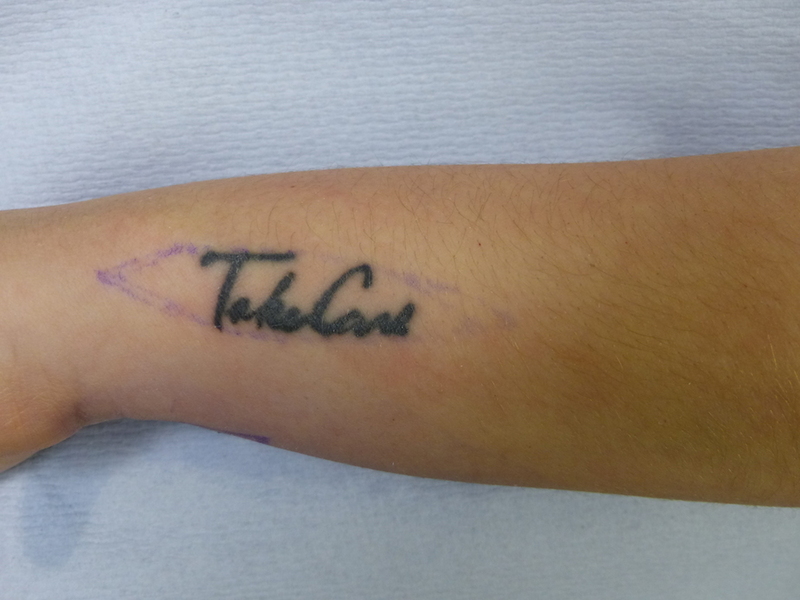 This leaves a gap which is stitched so that the tattoo is exchanged for a neat surgical scar. Unlike laser treatment, surgical tattoo removal is guaranteed to remove the tattoo and this can be done at a single visit if there is sufficient skin to stitch together once the tattoo has been removed. It may be possible to remove larger tattoos with ‘serial excision’ where parts of the tattoo are removed sequentially. 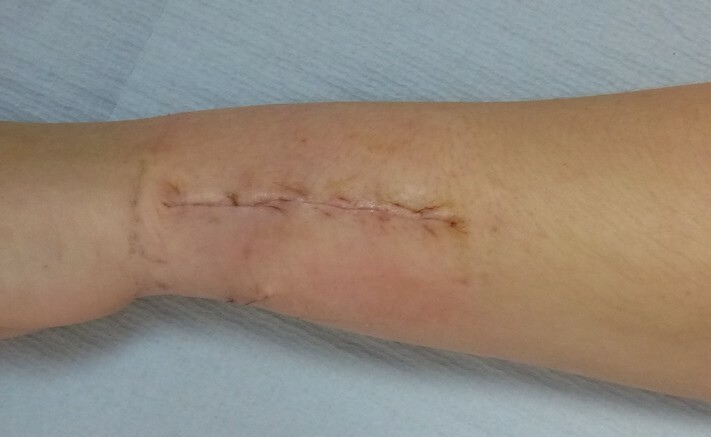 It may be possible to use skin grafts although these will cause much more extensive scarring. Typically, dissolving stitches can be used and the procedure can be done as an awake day case operation. 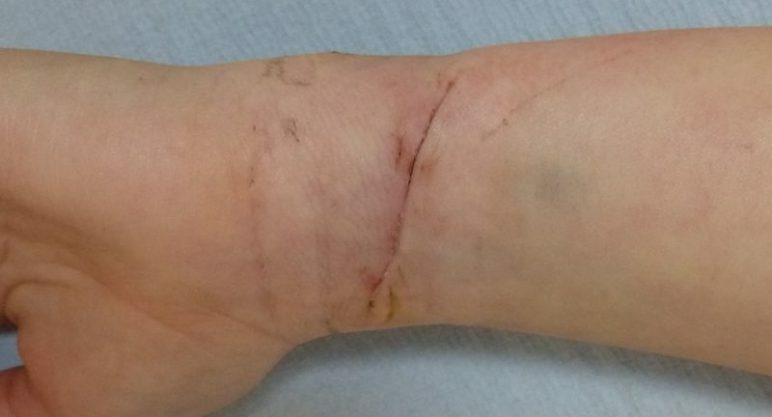 The surgical wound heals in approximately 2 weeks and the scar takes several months to fade. How do I know if my tattoo can be removed with surgery? If you can pinch your tattoo easily into a fold of skin then it may well be possible to remove it surgically. 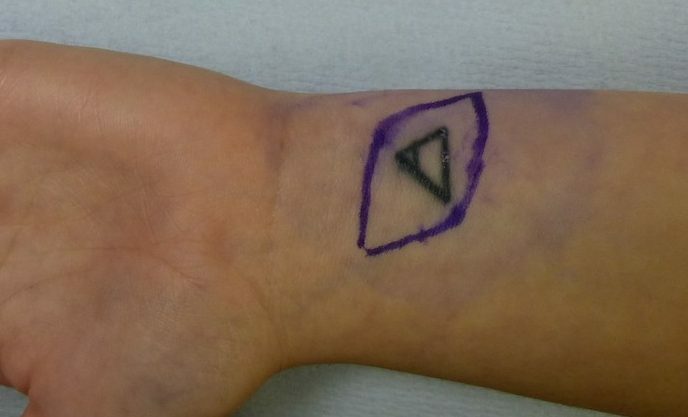 If you cannot do this, it may still be possible to remove the tattoo surgically but either 'serial excision' or a skin graft would be required. A skin graft will leave a patch of skin in place of the tattoo and this will always be a slightly different colour and texture to the surrounding skin. The skin graft has to be 'harvested' from another part of your body - so there is an additional scar also.